GF Piping Systems is continuously developing libraries of all our drawings that are fully compatible with the software of these three providers. Why to use GF digital libraries? 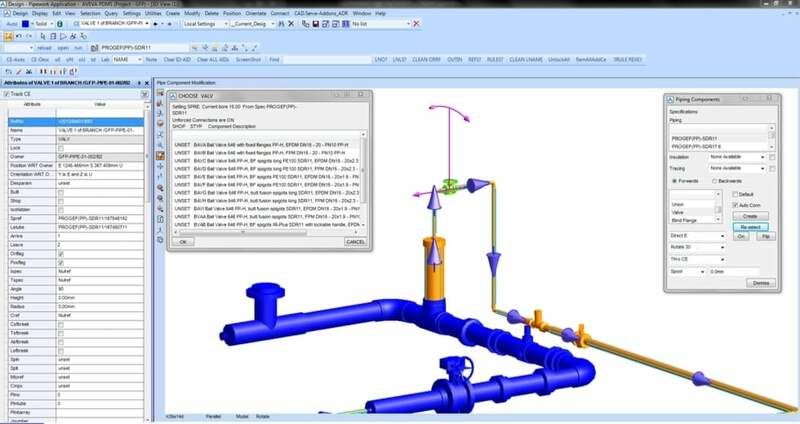 Access immediate accurate Georg Fischer Piping Systems data about plastic piping systems. Reduced rework on-site through better planning and design. Easy modelling of various options and the assessment of the impact of each choice. 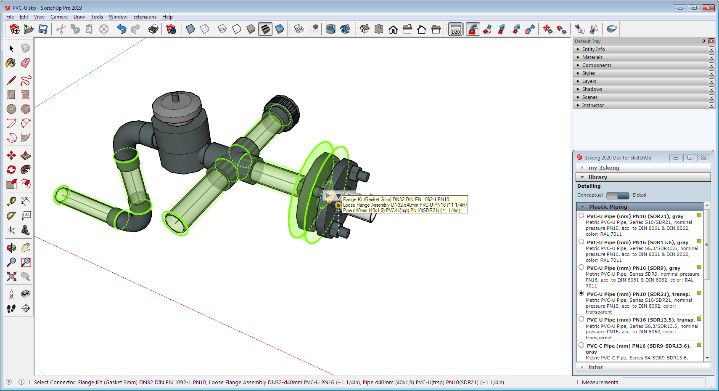 can download piping components’ CAD data and use it directly within their designs. This reduces time and effort, whilst ensuring design accuracy and integrity. can view piping components’ specifications, plan and execute efficient purchase and installation. This supports lean supply chain activities and eliminates shortages and surpluses. can access accurate components’ specifications and use these to plan and execute maintenance activities efficiently. This reduces facility downtime, supports safe, efficient and profitable activities. 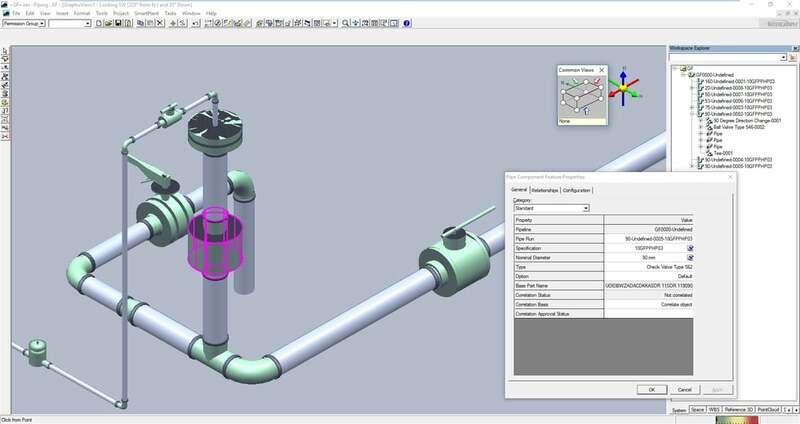 Excellent design tool for pre-planning phase of piping systems. For many years, engineering has been carried out with the help of digital design tools. 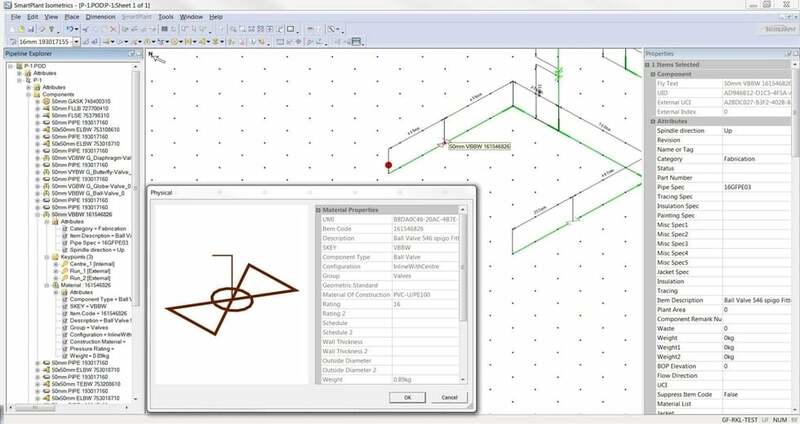 Revit has become the standard for 3D modeling in the construction industry. 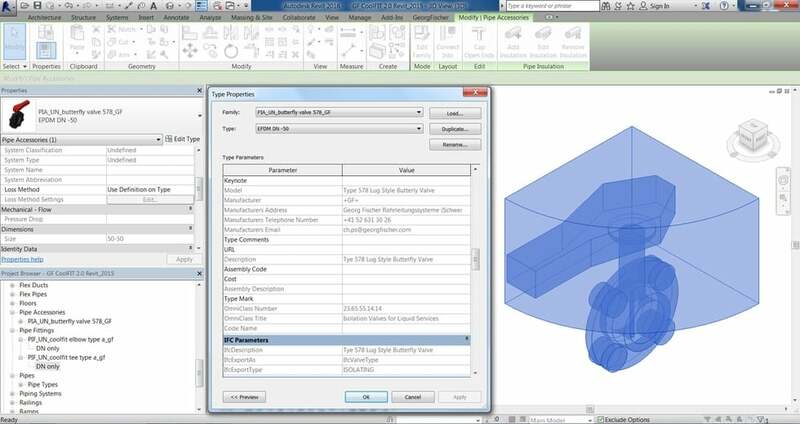 Interoperability and design capabilities in architecture, structural engineering and MEP, make Autodesk Revit the best suitable tool for BIM (Building Information Modeling). 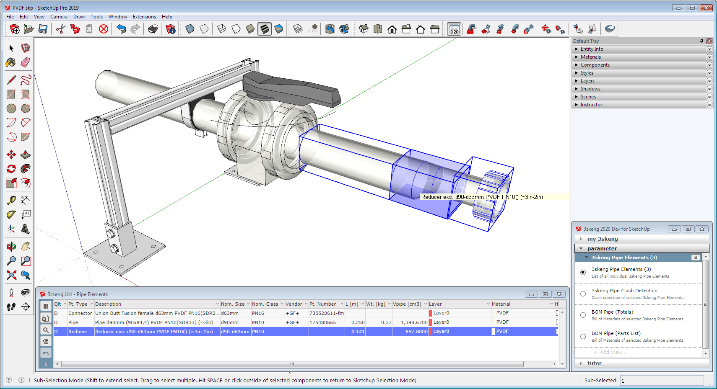 Piping & Plant Design software are rather independent from the classical 3D CAD. is used to create plant design and model equipment, structures and communications. 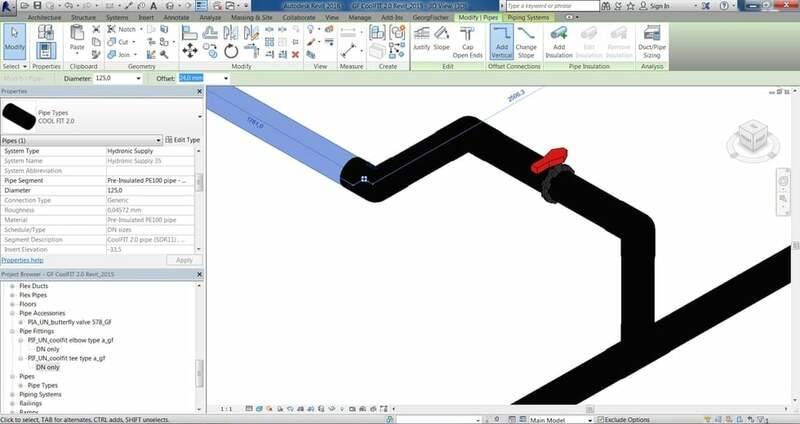 Use the well-established Trimble SketchUp together with the extension 3skeng now also the 3D engineering world of pipes and more. 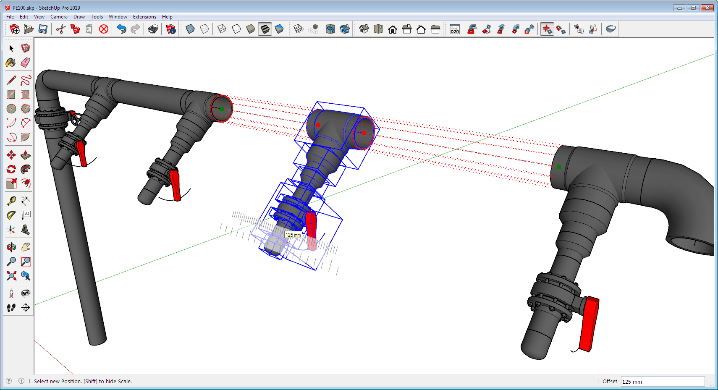 SketchUp and 3keng is intuitive, efficient and affordable software package. 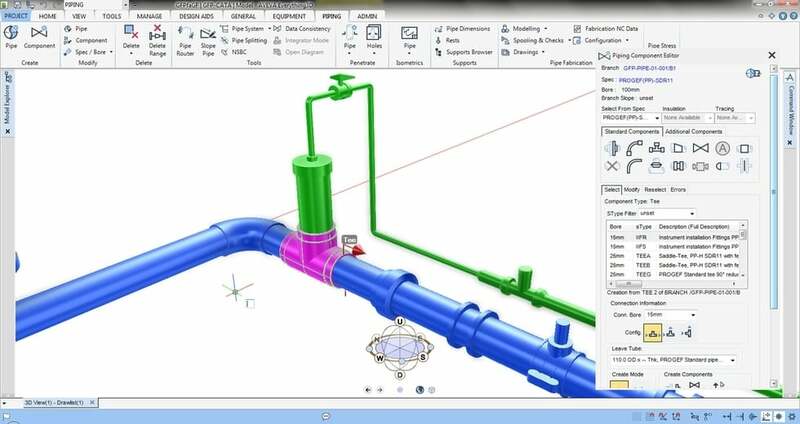 The tools 3skeng Pipe, Steelwork and Mount work seamlessly together and offer all functionality to generate 3D piping systems models with related support structures.